This is definitely one of the most common and also the most popular car beds types — in the UK and across the globe. Sleek memorable designs and bright colors have what it takes to turn even the most common room into an exciting racing track. The second spot is taken by luxurious sports cars — they, too, can become great additions to a boy’s room. In fact, they look pretty much like racing cars — sleek design, bright shapes, svelte body — but the actual designs are bit more authentic and are usually based on the actual car make. This is not the most common example of single car beds UK stores can offer, but it is possible to find a couple of models in big retail chains. On the whole, this is a very creative and unusual decoration idea, so you should probably give it some thought. 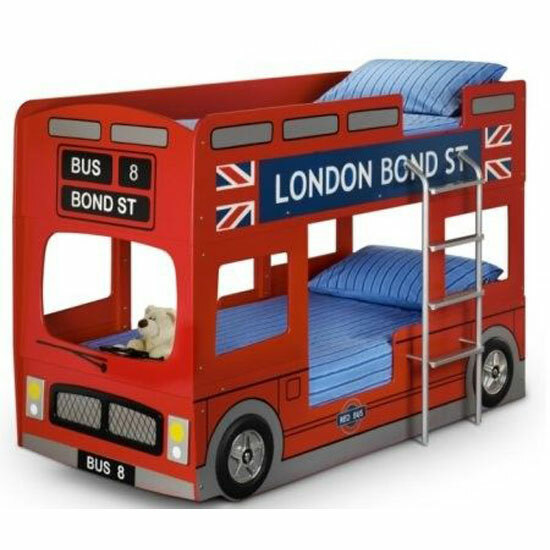 Another popular type of single car beds UK stores distribute will have either truck or bus design. Sure, the particular models are very different from each other — excavators, London double deckers, and many other stylish models wait for you in leading stores. 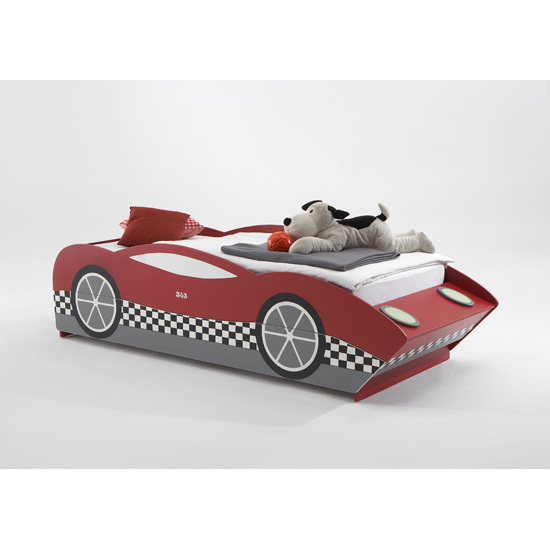 A rather specific example of a car bed, but it can still be a great addition to a little boy’s room. If you go with a military car, it will also be possible to find a lot of matching accessories to turn a room into a real war zone. One of the brightest and, perhaps, most memorable examples of single car beds have a fire truck design. Bright red will serve as a great accent in the room. And for the smallest ones, you can always go with a car bed that has a distinct toy look. Differently from the models, described above, these cars do not look so authentic but they still feature an amazing design and sweet look. These car beds are perfect solutions for toddlers. Plus, you will even find a couple of girly designs in this category. If you are looking for affordable single car beds, UK store Furniture in Fashion might offer you a couple of interesting solutions. This is one of the biggest platforms in the country, offering gorgeous product selection from established manufacturers and vouching for the finest quality of every single model it distributes. And, if you would like some actual proof on that, feel free to visit company showroom in Farnworth, open from Monday to Saturday.